What is the Innocent Spouse Defense? When a spouse/former spouse chooses to omit income on a joint tax return or claims improper deductions, it can lead to an IRS tax audit. This not only means danger for the spouse committing the tax fraud, but also the other spouse whose name is on the joint tax return. Even if you recently went through a divorce, you may still be held liable for your former spouse’s actions. What if I had no idea what my spouse was doing? A joint tax return means that both parties can be held liable for any tax due, as well as additional amounts the IRS audit may lead to, such as penalties or previous deficiencies. However, a spouse with no knowledge of the illegal activity may be able to use the innocent spouse defense. If you are found to be “innocent” or not involved in the tax fraud activities, you will not be held liable for any additional taxes or penalties. The burden will fall entirely on the shoulders of the spouse who committed the tax fraud or failed to report income. Due to these facts, it is unfair and unlawful to hold you accountable or liable for any tax deficiencies. If you are able to convince the IRS or the courts of any one of these areas, you will likely not be deemed “innocent.” The court will consider several factors when considered your involvement in the matter, including your level of education, your typical involvement in the family business or finances, any obvious change in income without your question of it, how deceptive or secretive your spouse was, and if you made any inquiry about the matter. If you are facing an IRS audit due to your spouse or former spouse’s actions, it is crucial that you get legal counsel today. 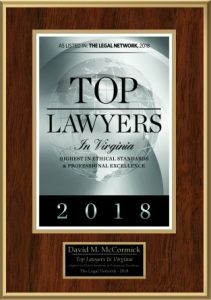 Call our Virginia Beach attorneys for a free consultation.